Lock in a great price for Glendower Guest Apartments - rated 9.1 by recent guests. Lovely cottage in an excellent location. Bed was very comfy, pillows were lovely too! The cottage was warm and cozy with everything you need. I also felt very safe and secure. The hosts ( especially their dog) were wonderful! We were in Annex A, which was bigger than we had expected. Having a completely separate bunk room (great bunk bed by the way) at the end of the hall, which can be closed off from the kitchenette/ diner/ other bedroom space by a door is brilliant if you have small kids. Means you can put them to bed and get on with your own evening in your own space without disturbing them. The French doors out to the garden are also very useful especially if you have dogs which we did. Good size bathroom as well. 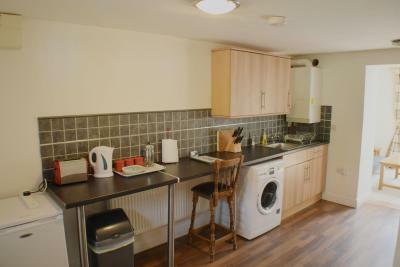 All very clean and kitchenette well equipped. Gardens are nice and the courtyard area when you drive in is all very pleasant. THe place was perfect for its purpose. We even got a free upgrade, which was very much appreciated. Fantastic customer service, I was arriving very late and the instructions and guidance was very helpful. We got to our room and everything you need is here. The owners were extremely friendly and the accommodation without fault. The apartment was beautifully decorated and spacious, our children were very excited when they discovered the huge bunk bed with its own staircase. We stayed over while visiting the Polor Express, the location is perfect, Morrison’s is a short walk across the rd and the station is on the other side of Morrison’s car park. We all had the loveliest time and can’t wait to stay again. Very welcoming hosts, lovely accommodation, lovely touches with, tea,coffee and sugar provided, as well as a toiletry box of items you can use should you forget anything. Perfect base for exploring Norfolk and visiting the Mid Norfolk Railway. 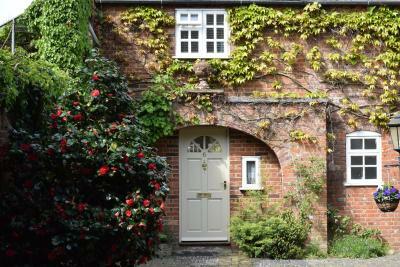 Built on the site of Barnyards Mill over 100 years ago, this guesthouse is set 5 minutes’ walk from Dereham town centre. It offers free parking, free WiFi and cosy rooms. The apartments and the maisonette have their own private bathrooms and kitchens. Various bars, restaurants and shops are all within 10 minutes’ walk. The property is ideally located for exploring Norfolks’ rich culture, with Norwich just 30 minutes’ drive away and the beautiful Norfolk coastline within 50 minutes’ drive. 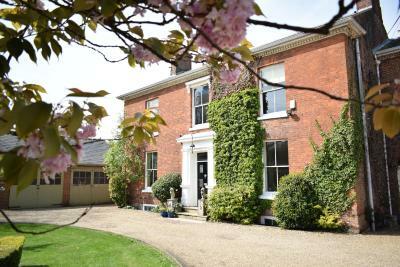 Glendower House is around 5 minutes’ walk from the Dereham Train Station on the Mid-Norfolk Heritage Railway line. Kings Lynn is 25 miles away. 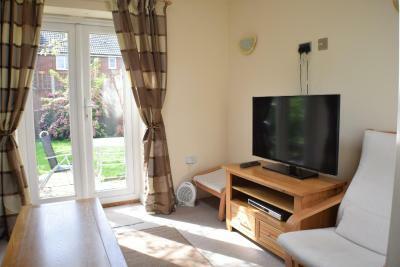 This property is also rated for the best value in East Dereham! Guests are getting more for their money when compared to other properties in this city. Glendower Guest Apartments has been welcoming Booking.com guests since 20 Dec 2012. 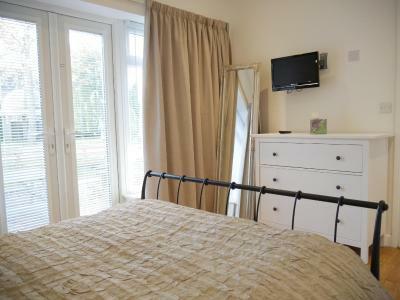 When would you like to stay at Glendower Guest Apartments? This first floor apartment overlooks the front garden and rear Victorian courtyard. 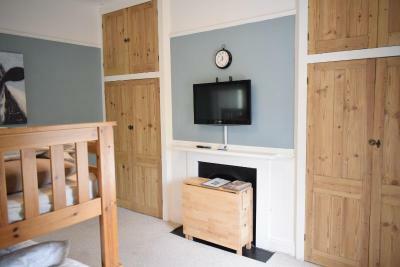 It has 1 double bedroom and 1 bedroom with bunk beds, as well as a kitchen, lounge and dining area and a private bathroom. 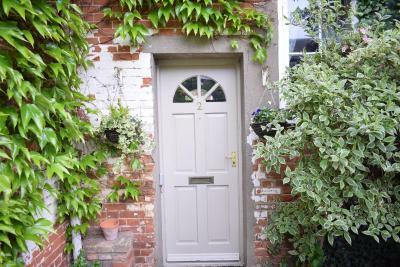 This cottage opens onto a small garden which leads on to the property's main gardens. It has a lounge with a flat-screen TV, a selection of DVDs, French doors and a skylight window. 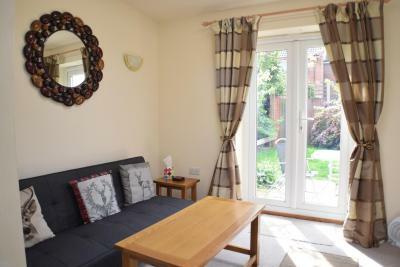 There is also a sofa bed and a fully equipped kitchen. The upper floor has an en suite double bedroom. This peaceful ground-floor annex has French doors that open on to the property's garden. 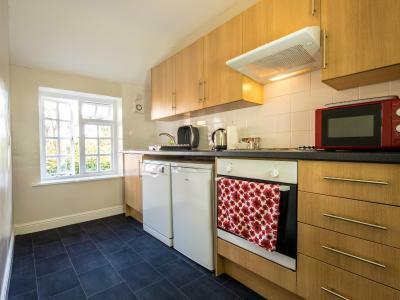 This apartment also has free Wi-Fi, a flat-screen TV and a kitchen with a microwave, a fridge and an oven. These maisonettes are set within a quiet courtyard mews. 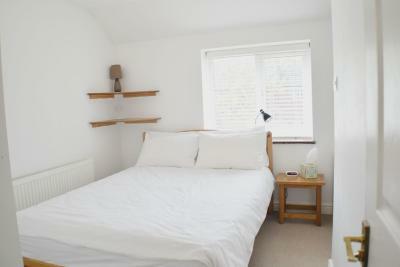 They have a twin bedroom and a bathroom, while upstairs you will find a kitchen and a double bedroom. This apartment features a flat-screen TV, bathrobe and sofa. 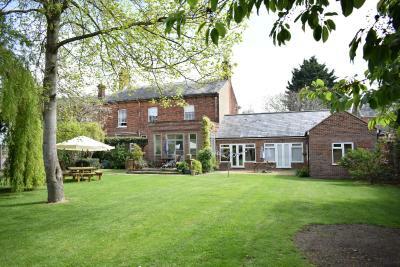 Built around 1850 and located in the centre of Norfolk, Glendower House is the perfect place to stay. 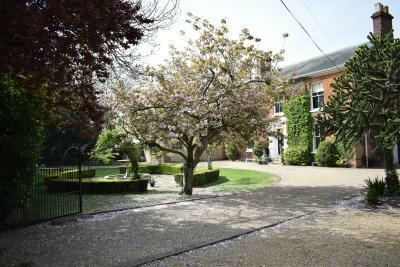 5 of our 7 self contained apartments are arrayed around a quiet cobbled courtyard and adjacent to the main house, with the remaining 2 (Annex A and B ) on the other side of the house. House rules Glendower Guest Apartments takes special requests - add in the next step! Glendower Guest Apartments accepts these cards and reserves the right to temporarily hold an amount prior to arrival. Bed was very comfy, charming building in a quiet locale. Essentials such as shampoo were provided in case younforgot! (We did) Complimentary tea and coffee was nice. I really can’t fault anything! I would move the bed so that it's facing the French doors - that way you are not looking directly at the kitchen when you're in bed and can see the TV more easily. Being charged £10 each for our very tiny dogs (they are smaller than our cat) we felt was a bit mean - they are so small and £10 each seemed a bit excessive. It is a large complex and so busy at checkout time that I was ignored whilst returning my key. The shower doesn’t seem to be thermostatically controlled and cycled between freezing and burning which wasn’t ideal. Great location and really nice to be able to make a cup of tea even though we hadn’t brought anything. Supermarket v near by. Comfortable and clean.